Price: $10 for students & Assoc. AIA members; $15 for AIA & DAC members; $35 for non-members. Registration required. 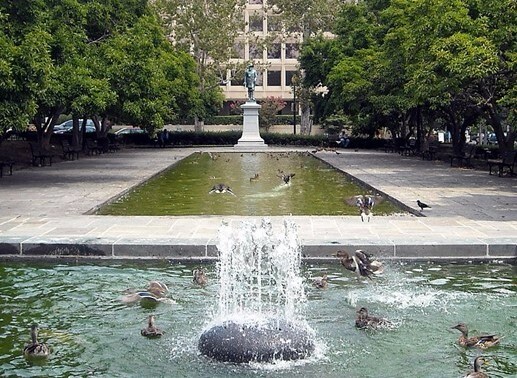 Join AIA|DC and architectural historian Matthew Gilmore for an exploration of the little-known aspects of Foggy Bottom east of 23rd Street NW–a neighborhood that has witnessed, participated in, and reflects Washington, DC’s unique history. The tour will illustrate the area’s shift from residential to international and national institutional destinations. Participants will travel from the Octagon to the Lock Keeper’s house, noting the OAS, then navigate Constitution Avenue and the Northwest Rectangle, observing the controversial E Street expressway. The 1825 Ringgold-Carroll House at 1801 F Street Northwest is next and the tour will conclude back at the Octagon. About the guide: Matthew Gilmore co-wrote Foggy Bottom and the West End in Vintage Images, copies of which will be available on the tour. 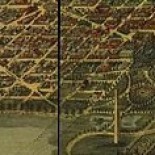 This entry was posted on May 8, 2017 by dchistorystuff in DC History, DC Neighborhoods, Early Washington DC, Early Washington history, Foggy Bottom, Kidwell's Meadows, Octagon, Planning, Potomac Flats case, Potomac River, U S Grant 3d, Ulysses S. Grant III, Van Ness House, Walking tours, Washington Canal, Washington DC, Washington DC canals, Washington DC memorials, Washington DC monuments, Washington DC planning.